Master of Shakuhachi of Kinko School and Minyo Japanese folk song. Certified teacher of Japan Kyodo Minyo Association Shuichi Maruyama got the certificate of master from Chosho Matsumoto, well-known　Shakuhachi player and No1 minyo-shakuhachi player in Japan. (Master Name:Shusho Maruyama). Shuichi Maruyama started learning Shakuhachi with Seikyo Nakamura, Master of Kinko School when he was a freshman of University in Kyushu. After moved to Tokyo, he learned Minyo and Shakuhachi with Tameshichiro Miura the 2nd, the head family of Miura school of Esashi Oiwake and got the master’name. (Name:Tamenobu Miura) He plays Shakuhachi at Minyo folk song competitions at Nihon Budokan, the biggest hall in Japan twice a year and at other Minyo concerts. 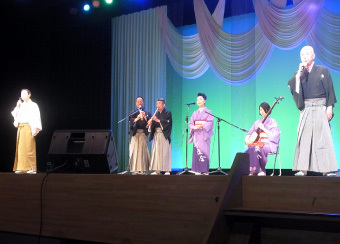 He also plays at several elementary and high schools to introduce and teach Japanese culture every year. In 2003, Shuichi Maruyama studied English at University of California in Los Angeles for 1 year. Because he is a teacher of English in Japan. During his stay in America, he had 13 concerts from small home concerts to big concerts Several concerts which he played were shown on TV and Newspapers. —In August, he had an outdoor concert at the 63 Nisei Festival in little Tokyo with renowned Tsugaru Shamisen player,Hiromitusu Agatsuma. More than 500people got together for that concert. And he solo had a solo concert at garden room in the Japan Cultural center in Little Tokyo. At that time about 100peole came to see him. He also played at the hall in University. He had several concerts at UCR (University of California, Riverside) where he stayed for 1 year. In September, he had a chance to appear on TV commercial for world Sumo wrestling competition held at Manhattan country club in Los Angeles with renowned Sumo grand champion, Akebono. In December, Shuichi Maruyama welcomed his teacher, Tamashichiro Miura the 2nd to L.A. and had a concert at the Zenshuji temple in downtown Los Angeles. It was the first concert overseas for Tameshichiro Miura the 2nd. Coming back to Japan, he made a group called “WASABI” to show Japanese Minyo and culture to people overseas with Tameshichiro Miura (song), Michiyasu Mihashi(Tsugaru Shamisen player of Mihashi school) and Tamenobu Miura(Shakuhachi). On October 2004, the group “WASABI” was invited to L.A as a guest for Minyo concert held by Southern California Minyo Association with renowned Japanese dancer, Midori Nishizaki the 2nd. The concert was held at the Armstrong Theater in Torrance in L.A and the concert hall was full of many people- Japanese Americans and Americans. 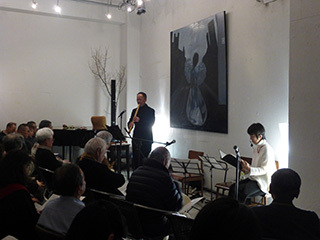 When shuichi Maruyama plays shakuhachi overseas, he always introduces the background and the content of the song in English. Because every Japanese Minyo contains meaningful poetry and it is very hard for non Japanese to understand Japanese Minyo clearly without knowing the background of the history of the songs. 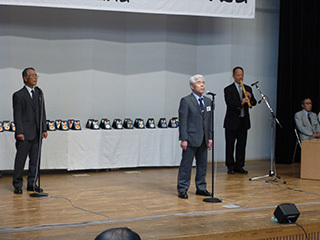 In 2004, Shuichi Maruyama got the special and honorable prize by Southern California Minyo Association for his dedicated and outstanding service to show Japanese Minyo overseas. On May, 2005, he had a performance for music therapy world meeting at Paradol Hotel in Segovia, Spain and played “Esashi-Oiwake”. On September, 2009, He visited Sint-Truden in Belgium to attend Tomatis international convention and had a performance. On June, 2010, He visited nursing home as a voluntary activity and had a concert in Kinshicyo, Tokyo. On August, 2011, He joined the event for Earthquake displaced people to have a joint concert in Hiroo, Tokyo. On March, 2012, He had a concert at a live house, ZINC in Asakusa, Tokyo. On May, 2013, He had a concert with Erhe, 2 stringed Chinese musical instrument Performer, Ms.Yang Yuki in Yoyogi, Tokyo. On May, 2014, He had a concert with Michiyasu Minashi, at Yasukuni Shrine in Tokyo. 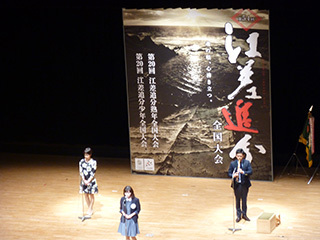 On August, 2014, he played Esashi Oiwake at the memorial concert held by Senzoku musical University in Meguro, Tokyo. On September, 2014, He joined a Japanese folk music concert and played Esashi Oiwake with Michiyasu Mihashi. 1800 audience got together to the concert. 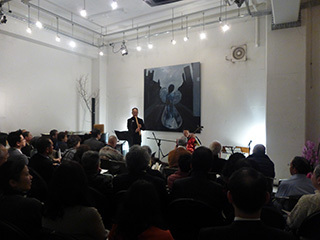 On March, 2015, he had a bamboo flute concert and played Honkyoku and Minyo in Ryogoku, Tokyo. On October,2015, He joined his master, Nidaime Tameshichiro Miura’s concert in Nishi Oojima cultural hall in Tokyo. 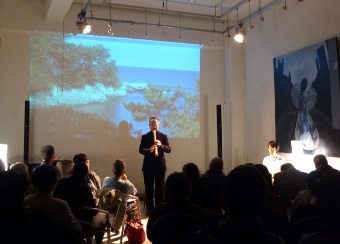 On November, 2015, He taught Bamboo Flute to visitors to Japan in the event held by Institute for Japanese Culture Experience and Education. 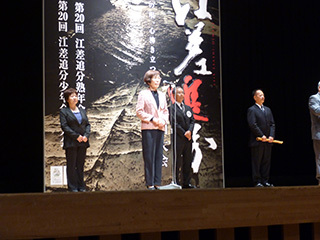 On March, 2016, he had a Bamboo Flute concert in Ryogoku, Tokyo. On June, 2016, He joined the Miyama Hiroshi show. Mr. Miyama is a well-known Japanese folk song singer. On September, 2016, he went to Hokkaido to attend Esashi Oiwake National Competition as a Shakuhachi accompanist. On March, 2017, He had a Shakuhachi Concert in Ryogoku, Tokyo. On March, 2017, He joined a dinner show at the Wishton Hotel Yukari in Chiba Prefecture.